the future economic and political implications of the Banking Union process. The new and ongoing effects of all relevant EU legislation and international soft law are brought into consideration throughout. 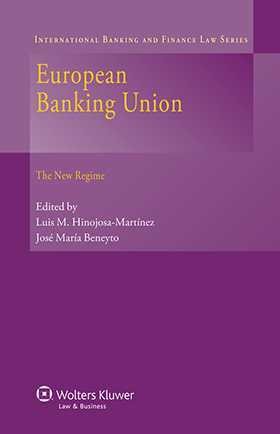 This ambitious and important book responds to crucial questions regarding what the Banking Union has achieved so far, what risks and challenges lie ahead, and which problems cannot be solved by the Banking Union in its current form. For these reasons it is sure to assist policymakers, practitioners, and academics to proceed confidently in matters involving finance in the Eurozone under the new regime.